GENERAL PRODUCTS-6 Shelves Yarn & Craft Organizer. Organize all of your yarn and crafts compactly in the same storage space! 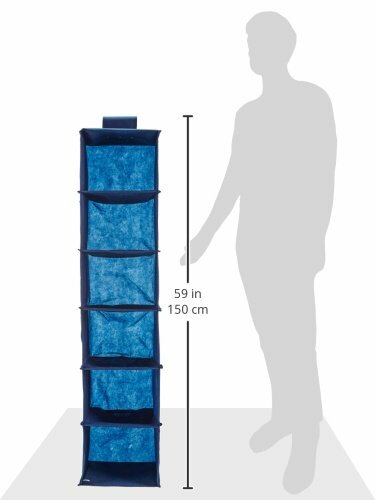 This organizer hangs from a standard-sized closet rod and features reinforced shelves and a heavy-duty closure. This package contains one 11x48x11 inch organizer with six shelves. Color: Navy. Imported. closure. This package contains one 48x11x11 inch organizer with six shelves. Color: Natural. Imported.